Everyone who loves Action Heroes like, Superman, Batman, Spiderman, Thor or others. You can make yourself like them with some costumes and make-ups. But you can’t make a perfect hairstyle like same as Superheroes hairstyles. 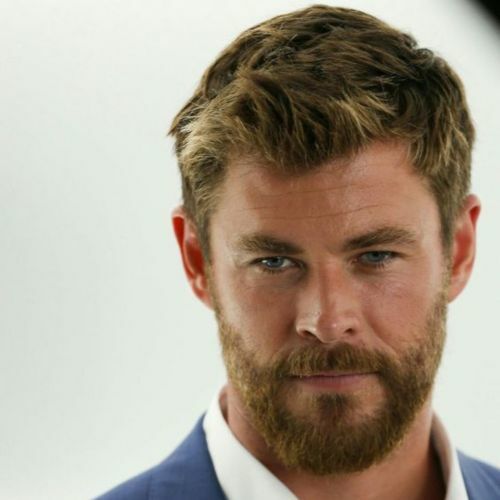 We got some request to post Chris Hemsworth Hairstyles and Tips to makes a Perfect and Cool type hairstyle. If you want to change your style Chris Hemsworth a.k.a Thor Haircut so you are the right place. We have lots of Pictures of Chris Hemsworth haircut and tutorial to get a perfect hairstyle. Let’s check it out. The Powerful Avenger, Best Australian Actor, and Handsome Model. 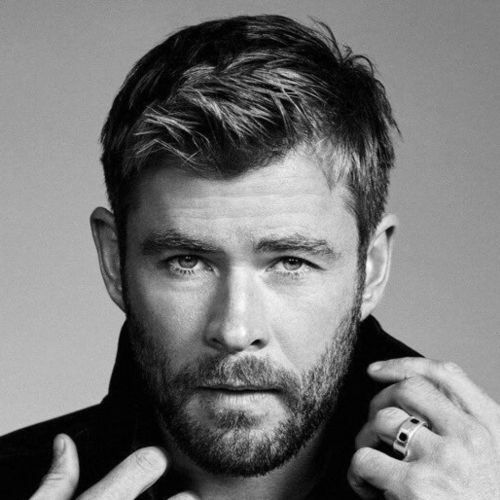 Chris Hemsworth, if you want to look like him try those latest Thor haircuts and make that’s yours within some simple tips. 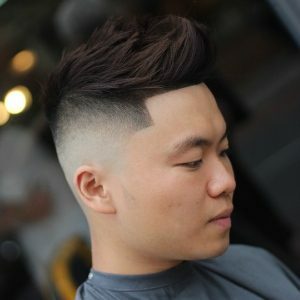 Choose and make a Hairstyle of Avenger. 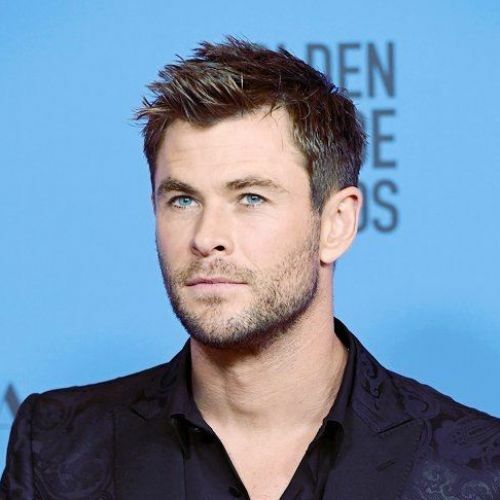 Make Something Cool with short length hairstyle like this Chris Hemsworth hairstyle with Cool Spikes, Side part fade haircut, and highlighted spikes layers. 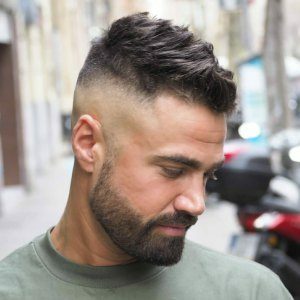 It’s not so easy, and not so hard, if you want to make this hairstyle, you need good hair wax and best barber. 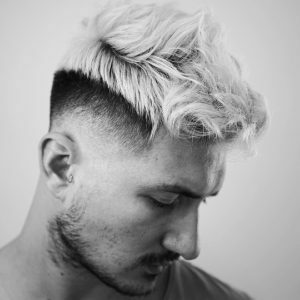 Make something pretty like this one, it is highlighted blonds with medium length messy hair and Side part low fade haircut. 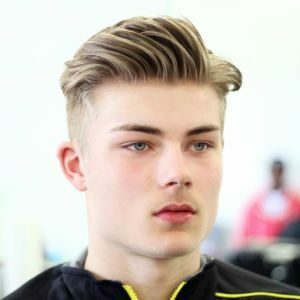 Make this hairstyle yours, with more cool hairstyles like Chris Brown Hairstyle, and Nick Jonas Haircut. This hairstyle is not for everyone why because this hairstyle has a natural look and auto designed style. But you can make this same hairstyle with those Modern Hair Product, first, you have to grow long hair then contact with your barber. 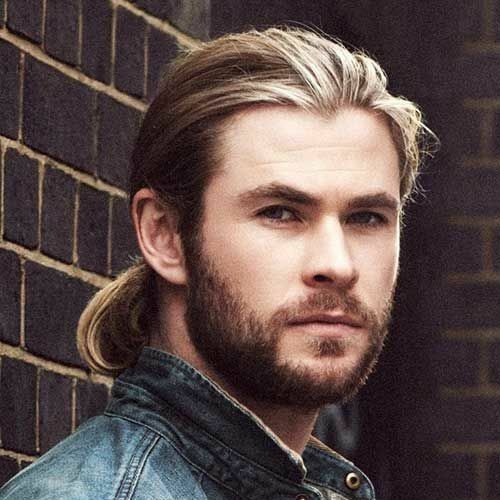 The Latest and Popular Thor Haircut with dashing man bun hairstyle and Attractive Look. 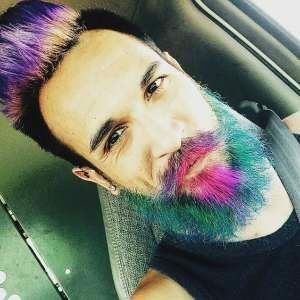 Just imagine if he is shaved in this picture LOL. Most popular have a question that what is thor haircut name? Got it now. 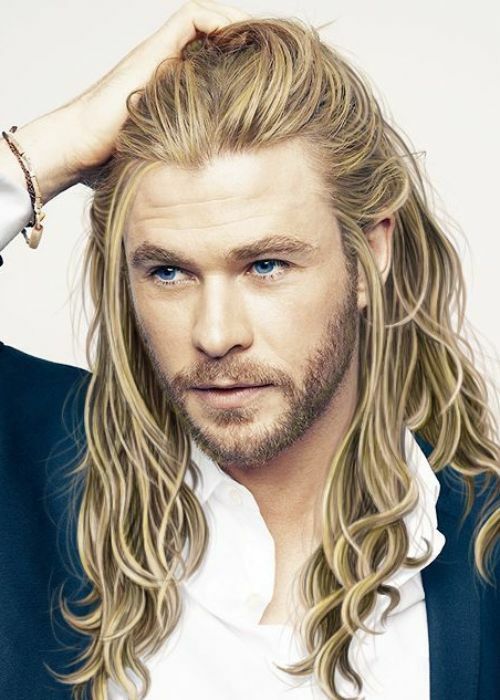 My Favorite Thor Haircut with this pretty hairstyle, mostly long hair is suitable for girls. But this hairstyle is made for Chris Hemsworth only. 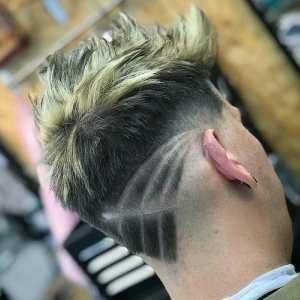 For make that hairstyle you have to wait for a long time to get this hairstyle. 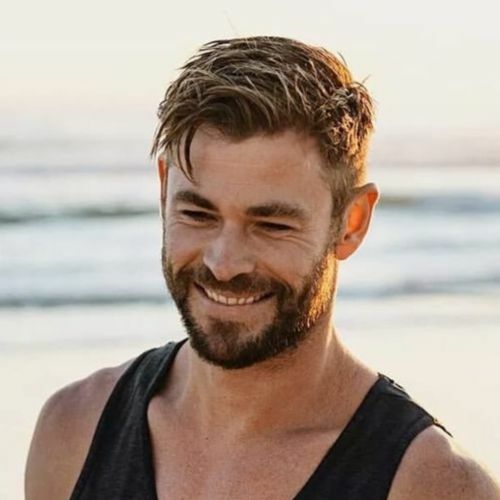 It is a Modern Hairstyle 2019 have a bet, that’s a perfect example, new Chris Hemsworth new hairstyle. make this yours with your medium length hairstyle to color blonde and get hard wax. It’s a Regular and Familiar men’s hairstyle all the time. The coolest Short Buzz Cut hairstyle of Chris Hemsworth a.k.a Thor Haircut. 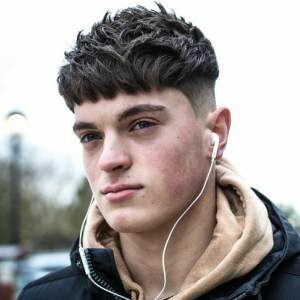 For make a Perfect Buzzcut, cut your all hairs be bald and wait, you’ll get this hairstyle. That’s the Perfect Hairstyle of Thor Ragnarok with this cool man bun hairstyle and Beard style. Thor is my favorite Avenger Superhero, I love and Thor Haircut is really made for his like a superhero hairstyle. 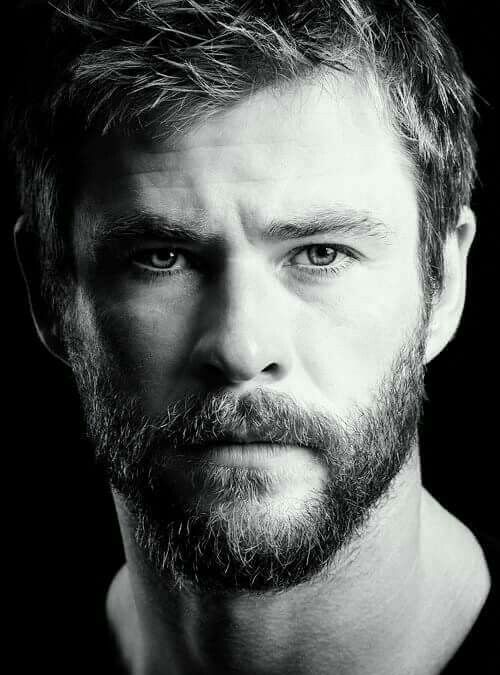 Chris Hemsworth has a Great Gentleman Look, Awesome Hairstyles, and The Natural Stardom look. This hairstyle is one of simple one if you want to make yours. Show this picture to your barber, and use the latest men’s hair products. For have a Modern Look people spent lots of money, but they just got a young Justin Bieber style. 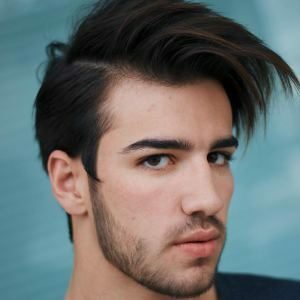 Why don’t you try some really Modern people look like Chris Hemsworth, Jake Gyllenhaal Haircut, and other superheroes? 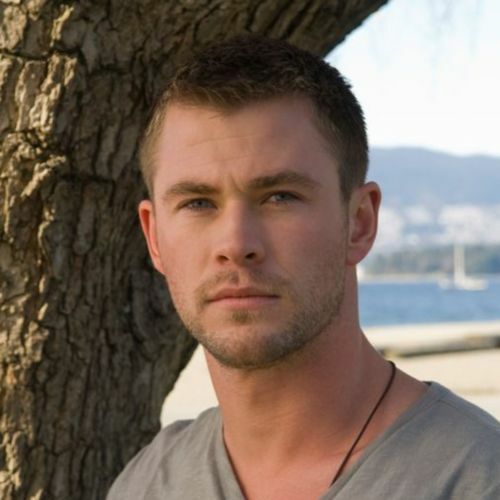 That’s a Cute Hairstyle of Chris Hemsworth, it’s an Old Picture of Chris when he was a younger teen guy. He had a Simple and trended hairstyle of that time, it’s really cool spikes. 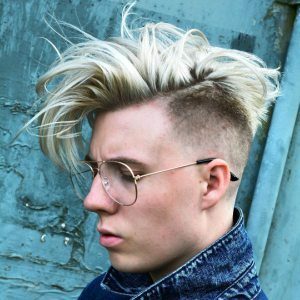 Check out more cools Actor’s hairstyle with the latest update every month new pictures and tips to get the latest hairstyle. Share & Love hit to this heart.